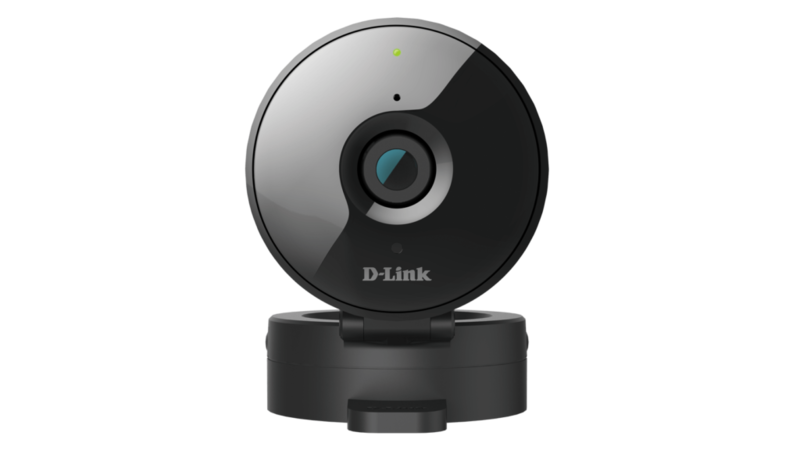 D-Link’s smart security cameras are some of the most popular options on the market. We already reviewed the cheaper DCS-932L, but if you’re looking for expandable storage, HD quality, and numerous other features, our D-Link DCS-936L review will help you decide if upgrading is right for you. Overall, the DCS-936L is a good camera, but it is missing some key features that similar cameras in the same price range have. While prices fluctuate, it usually runs around $80. Push notifications for sound or motion detection. Flip and mirror the video footage, add a timestamp, adjust the brightness, saturation, contrast, sharpness, hue, image size, quality, frame rate, and bit rate. Pan/tilt. 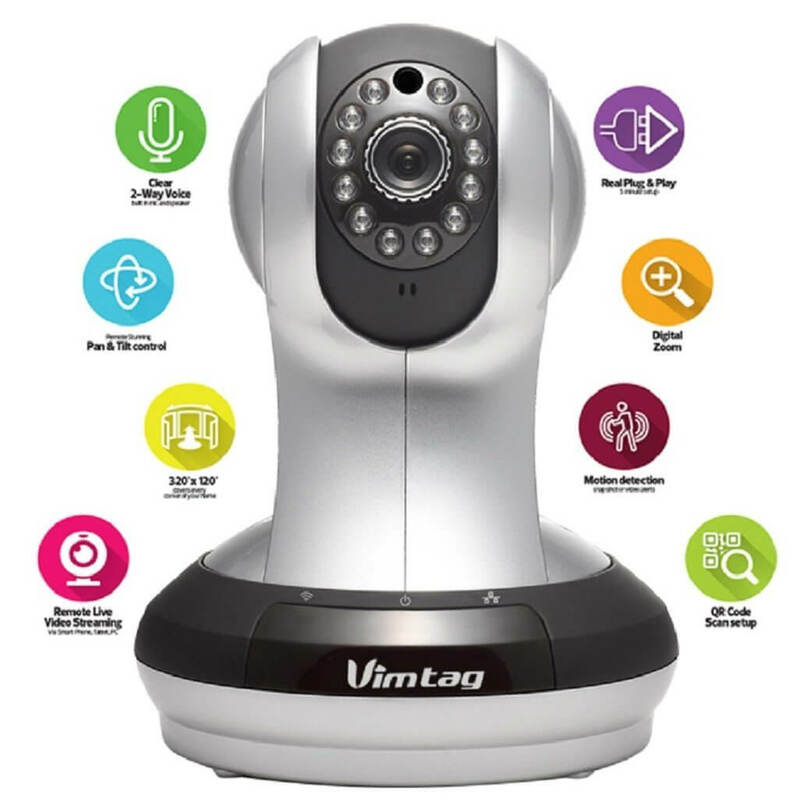 Vimtag, a similar camera in this price range, does offer this feature if you’re needing it. It’s definitely nice to move the camera if it gets bumped or off-center. Additionally, due to the way this camera is manufactured, you can’t physically adjust it to any angle, it can only tilt down. Cloud storage back-up. Some people will actually consider this a good thing, as cloud storage is dependent on the company and usually comes with a monthly fee. Of course, if someone breaks into your home and sees the camera, they can simply steal the SD card with the evidence of them breaking into your home. Unfortunately, the microSDXC slot is not hidden, making it easy to snag from the camera. Two-way audio. If you’re wanting to make funny noises at your dog or sing to your baby from other room, look elsewhere. 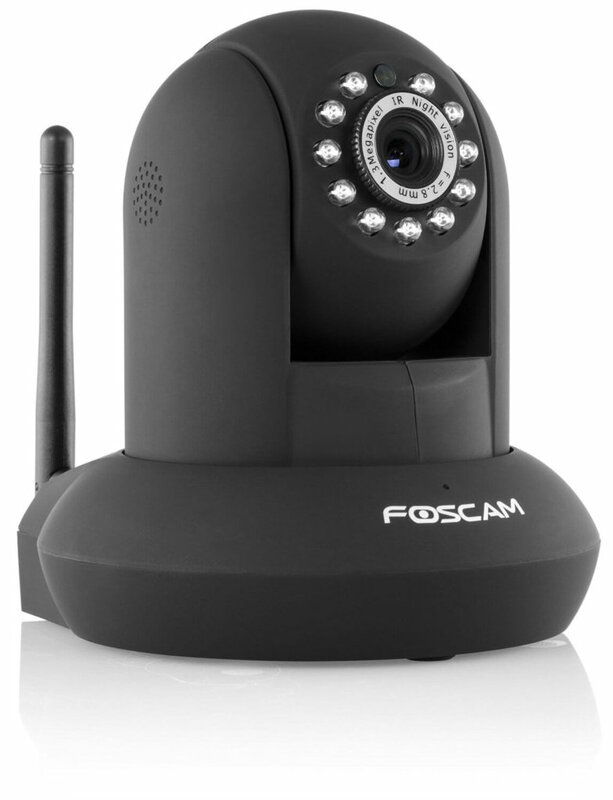 Vimtag and Foscam are both excellent options for two-way audio. Stronger security. It offers http, not https protection, and also saves your password in the app. A siren and air quality sensor. These are more advanced features of more pricy Canary and Piper, but it’s worth noting that you have the option to pay more for these features. 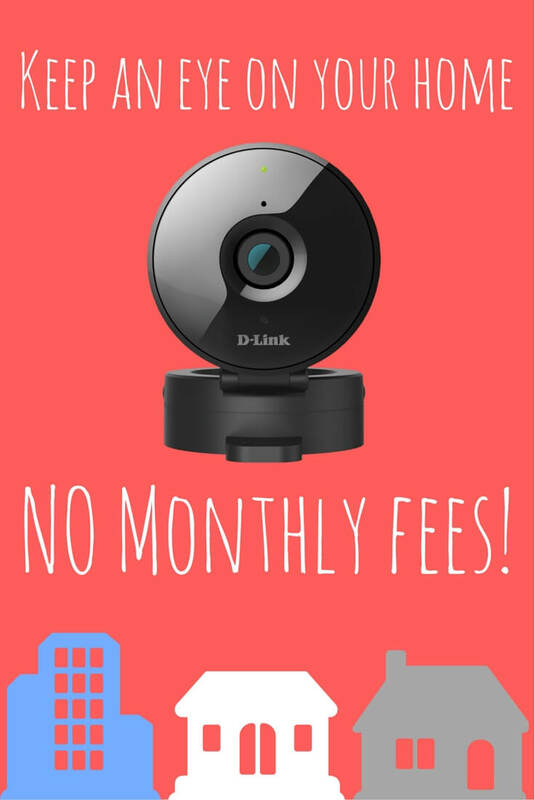 If you’re loyal to the D-Link brand or want the wide angle lens, hopefully our D-Link DCS-936L review has helped give you the information you need to get one of these inexpensive, but decent cameras. Just looking to get the most features you can for a $80-$100 price tag? Consider Vimtag and Foscam. We wrote a full comparison of these cameras at this blog, or you view our ultra-helpful comparison tables here.